If you read my First Impression post you would know I felt pretty meh about this drama to begin with, but my inner BOF fangirl couldn’t let it pass by without a glance. A few more episodes in and I actually got pretty into it, even to the point where I was excited to put it on my drama watching schedule. Considering the fact that I’ve been SO busy as of late putting this on my rotation was significant. However, about half way through the initial excitement started to wane. I was beginning to doubt whether this drama is in fact about the two secondary characters or our Ha Won. There is so much focus on Hye Ji’s sobby life that I just could not muster the energy to move through each episode with the same zeal as before. Like, I get it, there’s something unresolved standing in the way of her and her true love, but oh my gosh, get your own show girl. Plus Son Na Eun’s acting is just nothing to write home about – it is pale and flat (sorry Apink fans). Anyways, enough about that. The rest of the story is average to say the most. Instead of having a meddling mom we have an annoying grandpa who for some reason is cool with marrying a “commoner” himself, but insists on barring the happiness of everyone around him. I don’t get the logic; it’s almost as if he’s written purely as a plot device – first to put Ha Won in contact with the boys, and then to serve as the final “boss” before the main characters can have their happy ending. In addition, halfway through we have two secondary characters who are interested in Ha Won, but ultimately neither does any real damage – in fact, they practically cut all interactions with Ha Won after she declares her love for her main boo. Where’s the fun in that? Oh, and that inheritance battle? So very meh and not really that important for the story arch at all. It also bothers me to no end that we never find out how old the Kang brothers are. Are they in college? Are they working? 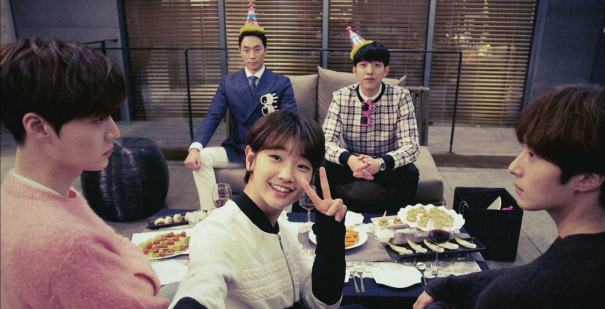 They always are just bumming around the house (aside from Seo Woo who actually makes a living). If they are in their mid to late twenties what are they doing with a high school student, even if she is of legal age? Isn’t that just a little bit weird? 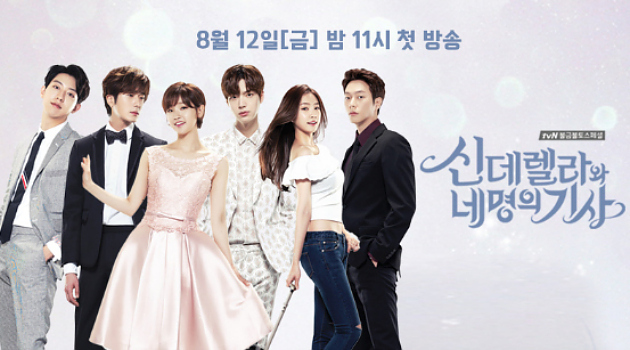 And why does this drama insist there are four knights when its clear Lee Yoon Sung is not in contention for Ha Won’s heart at all (sorry, spoilers)? While the acting was fine for each individual character for the most part (except you know who)- after all they are veterans – the plot and dialogue are weak. Everyone is just passively waiting for events to happen to them. No one is actively trying to do something to carry the plot forward which made me tired watching it all go down. For a drama boasted as the new BOF I am really disappointed in how it turned out. It had a lot going for in in the beginning, but a story can’t live on that alone. 2016 has been a busy year for Park So Dom! In addition to being in two dramas, she was also in the movie Snow Paths and had a cameo in Run-Off. She will be hitting the big screen in 2017 in mystery crime film Fifth Column with Jung Woo. Jung Il Woo’s first Chinese drama, Beautiful Woman, is rumored to be debuting soon. Since it was filmed in late 2015, it is expected to hit the screens once post-production is completed and it secures a channel spot. Il Woo is also starring in his first ever Thai drama (also first for any Korean actor), Love and Lies. Ahn Jae Hyun is starring in yet another Chinese film this year, due in theaters on November 11 this year, named I’m a Virgo. Lee Jung Shin contributed the song Confessions to this drama’s OST. He will be seen again in 2017 drama My Sassy Girl, a historical drama based off of its namesake. I agree. Though I liked it right away, it quickly fell apart and really made little sense and was draggy (and boring). Very disappointing because it could have been fantastic. The only part I rally liked was the very realistic dating/skinship between the main couple. 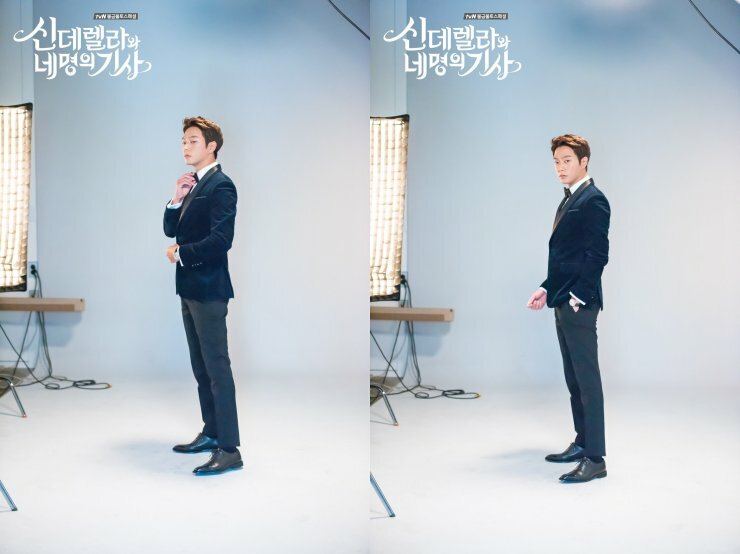 And Seo Woo+Butler …..